MY THOUGHTS: While being completely stoked for The Walking Dead team, I think it is a sign of the insanity of the world, that Sandman: The Overture #1 finishes outside the Top Six, at spot #8, behind titles such as Superman/Wonder Woman #1 at position #7 and Justice League. With news like that, It's easy to see why so many comic folk turn to a life of super-villainy. Full October 2013 stats after the jump. 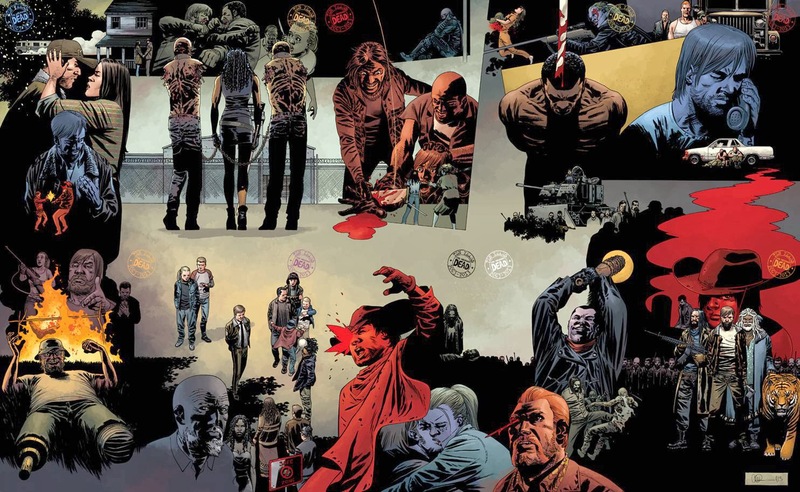 With ten variant covers forming one giant image, homaging it's 10 years in print, The Walking Dead #115 made a true milestone event. 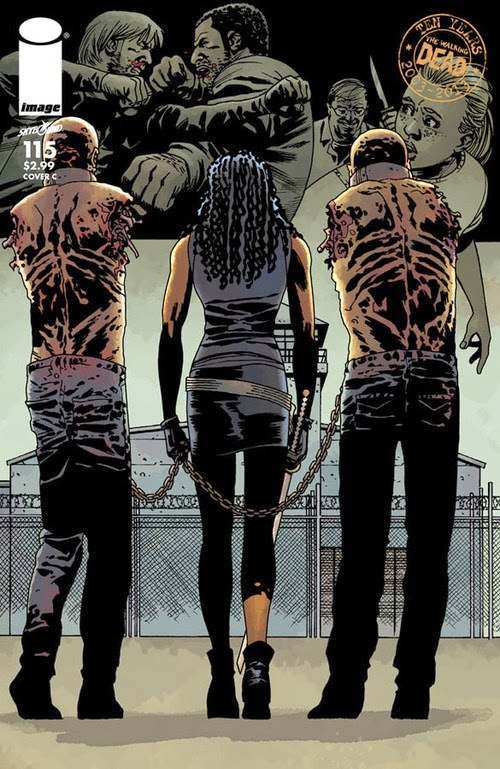 Not only did the franchise top October comic sales, The Walking Dead: The Fall Of The Governor topped the Graphic Novel charts and The Walking Dead Series Four did likewise on the Action Figure chart list. 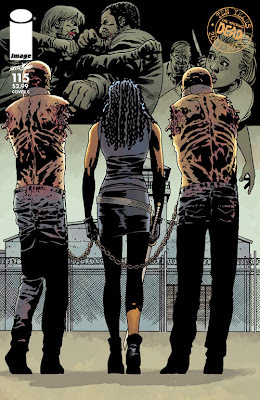 A trifecta of #1's, proving the power of the walkers. Wayward Avenger, Hercules was all it took for X-Men #59 to take top honours in 1996. Tim Drake's Dad fought to the end in 2004's Identity Crisis #5 for the same result. 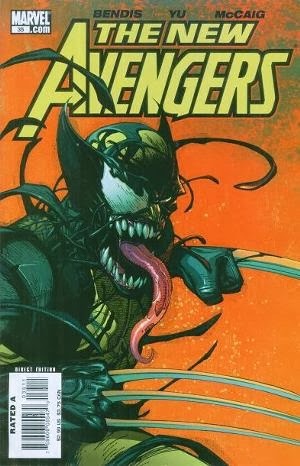 Then in 2007, a symbiote story in New Avengers #35 should've been much more than it was, but still delivered a #1 result and a fantastic Halloween-ready cover by Leinil Francis Yu.